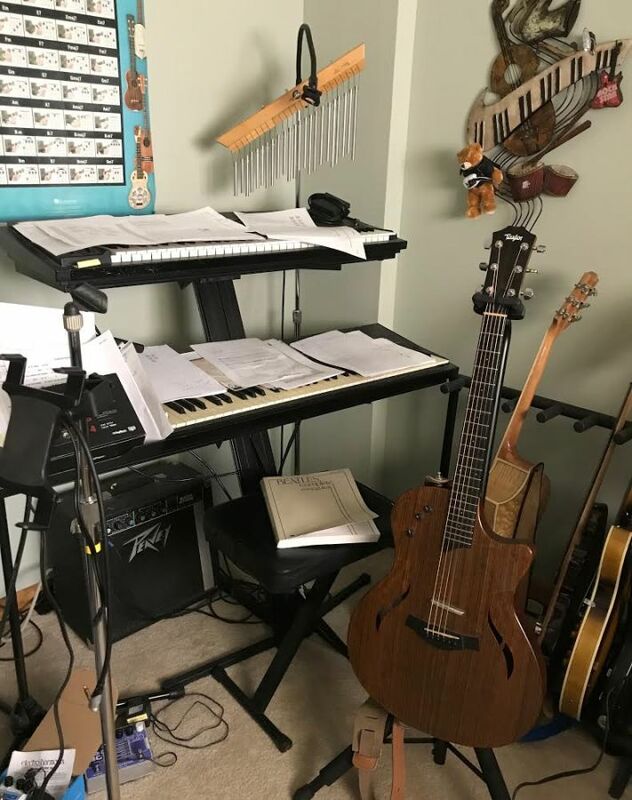 This entry was posted in Friday Fictioneers and tagged love, love songs, Music, Rochelle Wisoff-Fields. Bookmark the permalink. There’s a whole ‘nuther chapter in those last two lines. Even with sparse descriptions, I have a clear picture of who these folks are. Well done, my friend. Thank you so much. I think so… and I am so very glad you do! Finished with the floor until himself approves it. well done you! I could easily write a story with a thousand or more words but hardly one with 100…. We have a very famous Swiss writer (had, long ago) who apologized to a friend: Please accept my apologies for this long letter. I didn’t have the necessary time to keep it short. I love receiving long letters… he should not have needed to apologise. As for you… who says? Oh that last line actually made my heart contract! Brilliantly done Dale. How poignant and romantic this is! Him playing for her, and she understanding him in ways that transcend their connection, and strengthen it! Your pen has been busy with some quality work recently. But I am greedy in wanting more! Thank you for totally getting it. Whatever is working for you, keep going to it! That’s beautiful. Though it does remind me of a serenade, performed on a 12 string guitar. Norwegian Wood (Beatles). Not in remembrance of a sweet love gone, but in the hope of seduction. Ho-hum. Thanks Dale. It does bring back memories. And the evening turned out brilliantly. Not for him. But loads of his friends dropped in. Wine, guitars, singing. Laughter. And I met the singer with a local band; he had a Triumph Spitfire, sang Rod Steward covers, and we thereafter dated. Past love that inspires. Should be writing all the time, then. Thank you, Lynn. So very glad you liked. So much said in those last lines. Good on him for trying to move on. I’m sure he is moving forward. After all, he did invite her into his inner sanctum..
Dale, your story is really affecting. I loved it. As the Carly Simon song says “there’s more room in a broken heart”. He is brave to put himself out there and I am sure he will be able to love again. His visitor sounds like a compassionate person. How delightful that within one short song he could portray his love and she could see that it was for another. Hopefully, they can put all that aside and connect somehow. Nicely done. Sad but lovely story. There is so much here that isn’t said, but we can read the backstory between the lines. Very well done, Dale! Thank you, Susan. So glad you liked. I like to think she understands very well. . Exactly. Moving forward… I am not a fan of the term “getting over it” – you never get over it… but you definitely can move forward. Oh! That’s it. I was wondering why she was being so careful. Who can forget one’s first love? Still, I hope their story works out. Beautifully done, Dale. Beautifully done, Dale. My heart bleeds for the man. Thank you, Sandra. So very appreciated. Sometimes the words ‘It is better to have loved and lost..etc…’ fail to comfort. Lovely take. Such a sweet story. Well done. So much conveyed here, well done! As someone who plays guitar and writes my own songs, I know how intimate it is to share a song with just one other person, and have them really hear what you mean. And yes, the deepest music comes from the strongest emotions. Thank you so much, Joy. I’m glad I went there then! Everyday goings-on and then the poignant end. Bittersweet. Lovely story Dale, you chose your dialogue well to tell the story in so few words. Thank you, Andrea. Coming from you, that is high praise. It is a lovely story and how you managed to tease out the emotional impact of song and music through your narrative. Thank you, James. Kind of you! Lovely story. I especially liked the last line. That last line is so poignant. Perfectly played. Awww gorgeous. I could see him play. Thanks, Laurie… I imagine his eyes closed..
Way to pull at my heart strings girl! But a new romance is blooming, I hope! Yep, I felt that last line as well. There truly is nothing like music written from someone’s life and sung with the emotion of that event. And there was I thinking she was his love interest. Would love to know who she is – a journalist? – and who the lost one was. What’s unsaid says so much in this one. Glad this one got you questioning. She seems to understand him. A soul mate perhaps. Maybe he’ll write a song for her. Delightful, Dale. Thank you, Keith. That’s exactly it. She is quite perceptive. I love how she first thought he was playing for her, and then, somehow knew the song was written and sung for another. Beautiful and poignant, and I, too, want to know more! Thank you so much, Jan. I love that you see this. Thank you, Michael! So glad you liked! The impact left by last two lines was breathtaking. You proved 100 words are enough to touch a reader’s heart. Thank you so much for your kind words, Shivam. Somehow this comment ended up in my spam! Thank you. So very glad you liked. And the surprise is in the last line. Wonderfully done, Dale! Thank you, Sascha…. so glad you liked. Very beautiful. The last lines gorgeously brought the story together. Country music have the best stories in their lyrics. And your post could easily have been a country song. I feel like these two are starting a relationship, and connecting in a beautiful way. Thank you, Fatima. Definitely what I wanted to convey. A gentle and touching angle on deep and enduring love. Well done. Thank you..so very happy you liked. Love how you brought in the emotion from the singer into this… some feelings cannot be hidden.